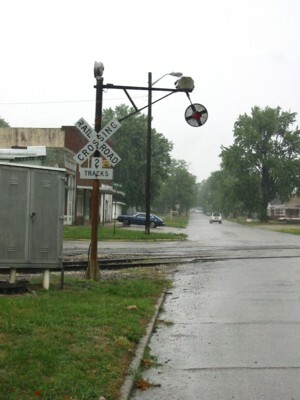 Caboose Industries, located in Freeport, Illinois, was founded in 1975 by Aubrey Olson. Caboose Industries is the manufacturer of low cost, manual switch stands. Requires modelers to fabricate a spring-connecting link between the stand and the turnout. Operating ground throws include five different connectors: flat blade for Roco, small diameter pin for Micro-Engineering, .083" hole for Peco, 90° slender shaft for Atlas, and large pin for most other turnouts. Also includes shim plate to raise the stand to height if needed. Complete ground throw includes set of five fittings for use with Roco, Micro Engineering, Peco, Atlas and most other commerical turnouts. Also includes parts to assemble one low current SPDT contact set. Has internal springs so it can be directly connected to the turnout throwbar. Has internal springs so they can be directly connected to the turnout throwbar. Operating ground throws include five different connectors: flat blade for Roco, small diameter pin for Micro-Engineering, .083" hole for Peco, 90° slender shaft for Atlas, and large pin for most other turnouts. Also includes shim plate to raise the stand to height if needed.